Keys to victory for Sanchez: Diego Sanchez is at his best when he’s able to utilize his speed to move inside and land a flurry of punches and back out before taking any damage of his own. Even when he’s winning the stand-up battle, Sanchez is very good at scoring well-timed takedowns to keep his opponent guessing. Kampmann has a knack for grabbing a neck and securing a guillotine choke when his opponent goes in for a sloppy takedown attempt, so Sanchez must be sure his neck is protected when attempting his double-legs. Keys to victory for Kampmann: In a recent interview with MMA Weekly, Kampmann mentioned he wants to go back to his roots and “get back to knocking people out”. I believe this is wrong strategy for him to take against Sanchez. At 170-pounds, Sanchez has typically struggled against the bigger fighters in the division, especially against the ones that are able to put him on his back. Kampann has the striking ability to win the stand-up battle, but Sanchez has only been stopped twice since 2006. One being a mercy doctor’s stoppage in the fifth round against BJ Penn, in which he took a severe beating. Kampann will have the size and strength advantage to take Sanchez down and keep him there. Fight Breakdown: On the feet, it’s really anyone’s game. Sanchez keeps a high energy pace, throwing punches in combos. Kampmann uses the classic boxing approach, lead with the jab and follow it with a power shot. I tend to see this fight playing out against the cage in the clinch for a solid duration of the fight. 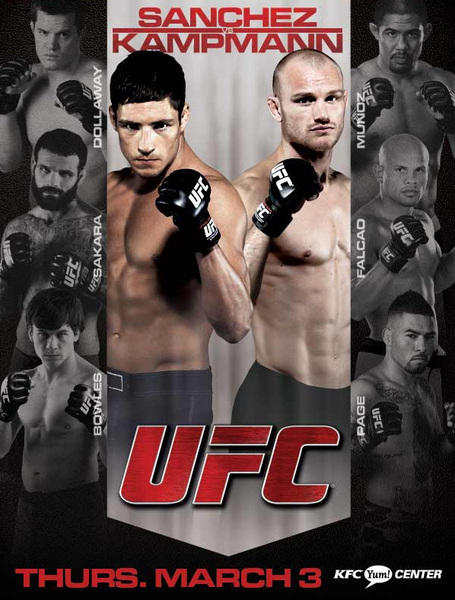 If Kampmann can get a few takedowns, I see him roughing up Sanchez with punches and elbows from the top. In the later rounds, I think Sanchez will have enough, give up his back and Kampann will secure the rear naked choke. Keys to victory for Dollaway: Dollaway was a Division I All-American wrestler for Arizona State University, and using his elite wrestling skills will always be his clearest path to victory. At UFC 119, Dollaway showed great maturity as a fighter for realizing he didn’t have a choke early against Joe Doerksen and waited patiently for his opponent to make a mistake without exuding any energy. When the opportunity came, he rolled into a guillotine choke for one of the more spectacular submissions of the year. 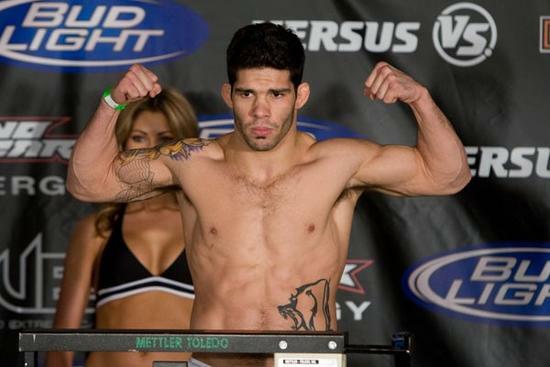 Keys to victory for Munoz: Munoz also has an extensive wrestling pedigree out of Oklahoma State, but it hasn’t really translated well to MMA. His offensive takedown skills are incredibly sloppy for someone with his elite-level wrestling background. With that aside, he will have the tremendous advantage on the feet. Munoz has the power in his hands to drop anyone if he lands cleanly. CB Dollaway is incredibly active looking for submissions while on the mat, but in doing so, he tends to leave arms and necks available for the taking. Even though we haven’t seen much jiu-jitsu from Munoz, he is a purple belt under the Nogueira brothers, and may be able to expose that. Fight Breakdown: The longer this fight stays on the feet, the greater the advantage leans towards Munoz. Even though his offensive wrestling isn’t that great, Munoz has shown the ability to defend them often and keep fights standing. 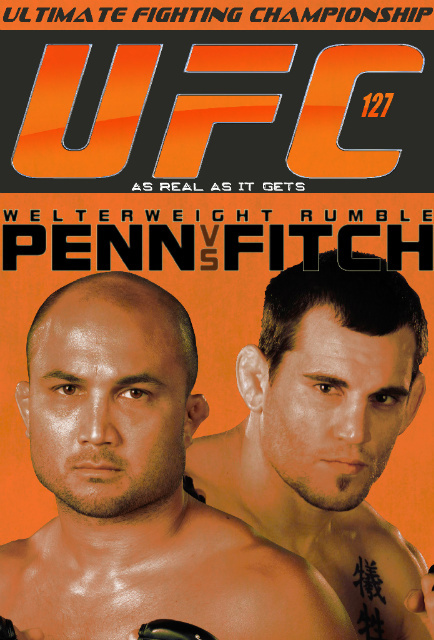 I expect a pretty even fight with both fighters in bad positions several times throughout. I like Dollaway to get enough takedowns to eke out the decision. Keys to victory for Sakara: If you’ve been watching the UFC for a while, you know what Sakara’s likely plan of action will be. Even though he’s on his first three-fight win streak since 2006, Sakara has kept his job in the UFC all these years for his ‘knockout or get knocked out’ attitude he has in the cage. Sakara has recently added kicks to go with his explosive hands making him even more dangerous on the feet. Keys to victory for Weidman: Weidman is a two-time All-American out of Hofstra, placing third in the NCAA tournament his senior year. With only one year of formal jiu-jitsu training at the Serra-Longo Fight Team, Weidman qualified for the 2009 ADCC Submission Wrestling Championships, losing to eventual silver medalist and world renown grappler Andre Galvao in an extremely close match. Fight Breakdown: Weidman is considered to be one of the top prospects in all of mixed martial arts, but I personally would have liked for him to have a few more fights in the smaller shows before signing with a big time promotion. 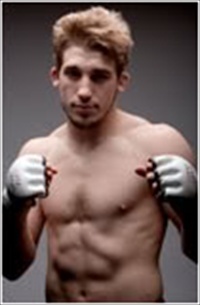 Nevertheless, Sakara is a perfect fight for him in his UFC debut. As long as Weidman avoids the big shots on the feet, he should have little resistance getting the fight to ground in his wheelhouse. I wouldn’t be surprised if he locked up a submission, but at the very least, Weidman should cruise to an easy decision victory. Keys to victory for Bowles: Brian Bowles returns to action for the first time in nearly a year due to a broken hand suffered in his fight with Dominick Cruz, then broke a foot while training for Wagnney Fabiano. Will ring rust be a problem? Bowles generally likes to push the pace against his opponents. He has serious power in his hands, so Page must be cautious of not getting into lengthy exchanges on the feet. Bowles has explosive takedowns that often lead to big slams, and an underrated grappling game to back it up. Keys to victory for Page: Damacio Page’s greatest asset on the feet in this fight will be his leg kicks. He will need to use them early and often to keep some distance from Bowles. Page has power of his own and tends to throw punches wildly, which could spell disaster against Bowles who prefers to get inside and throw heavy hands. Page has solid takedowns as well, but must be careful of Bowles’ nasty guillotine choke when dropping down. Fight Breakdown: This fight is my pick for “Fight of the Night” with these two having similar, exciting fighting styles. I generally pick against fighters that have been inactive as long as Bowles has, but Damacio Page tends to get sloppy and becomes highly susceptible to the guillotine choke. I expect the same outcome as the first time they fought back in 2008, it just may take a little longer. Keys to victory for Castillo: Danny Castillo will be looking to keep this fight standing as long as possible. 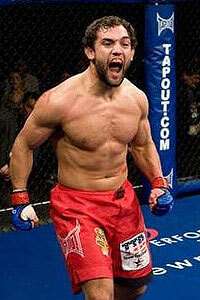 Mac Danzig, who hadn’t had a TKO victory since 2005, blasted Joe Stevenson at UFC 124 last December. Castillo is a vicious striker with five out of his ten wins coming by way of stoppages due to to strikes. Even though he prefers to keep fights standing, Castillo has a solid wrestling game as well. 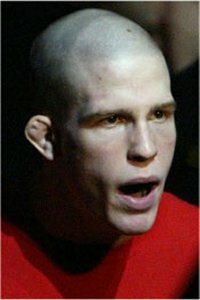 Keys to victory for Stevenson: Joe Stevenson looked like a reborn fighter in the second half of 2009, after he started training with Greg Jackson. He put on dominant back-to-back performances against Nate Diaz and Spencer Fisher using relentless takedowns and strong ground-and-pound from the top position. If Stevenson could repeat these gameplans against Castillo, he could cruise to a victory on Thursday night. Fight Breakdown: I think Stevenson will struggle with a few takedowns early, but if he can keep the pressure on Castillo while avoiding the big shots, he’ll eventually get the fight to the floor. Once on the ground, Stevenson should be able to do what he pleases. I think Castillo will eventually tire out and Stevenson will find an arm or neck to take home with him. Keys to victory for Diabate: Cyrille Diabate is a kick-boxer and Muay Thai fighter that has been fighting professionally since 1999. Even with the extended amount of time in the sport, Diabate has never caught on to defensive grappling skills needed to take his game to the next level. Despite his starch job of Luis Cane, he doesn’t have a ton of power in his hands. Diabate’s most violent attribute are his knees inside the clinch and will likely looking to get the fight in that position. Keys to victory for Cantwell: Like Bowles, ring rust will be the biggest concern for Steve Cantwell on Thursday. This will be the first time he enters the cage since September of 2009 due an undisclosed illness that supposedly nearly ended his fighting career. Without the proper information on the illness, it’s hard to say how much it may have taken a toll on his body. If he comes in a 100% healthy, Cantwell showed improved boxing even in defeat against Luis Cane and Brian Stann, but will have a much larger advantage on the ground. Fight Breakdown: Even though I think Cantwell has enough tools to beat Diabate, I believe the extended lay-off from the sport in the end will be his downfall. If Cantwell can’t get a takedown early, I think he’ll tire out and keep his hands too low until Diabate lands a big shot to drop him, and finish him with strikes on the ground.